Troy, Mich.— Citizens and officials in Troy today saw the goundbreaking of a controversial transit center that has been in planning for nearly 10 years. 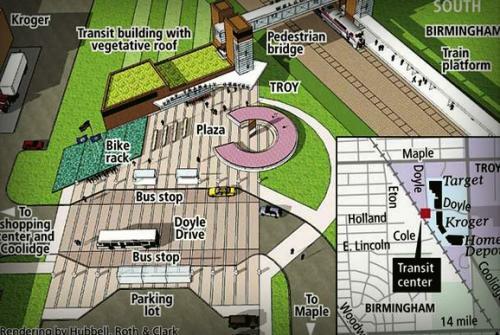 The $6.2 million multi-modal center will replace the nearby Birmingham Amtrak stop and will accommodate passengers of Amtrak trains and SMART buses, taxis, pedestrians and cyclists. Officials said construction will be done by the end of 2013. Funding for the 28,000-square-foot facility was provided by the Federal Rail Administration and High-Speed Intercity Passenger Rail Program, which is part of the American Recovery and Reinvestment Act of 2009. City officials said no municipal funding is required for the project. 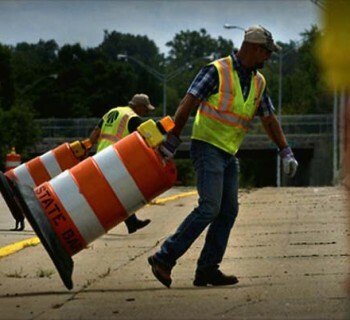 The Michigan Department of Transportation also contributed $350,000 from the state's Comprehensive Transportation Fund for the center, located on the southwest corner of Maple Road and Coolidge Highway. Troy City Manager Brian Kischnic said the center will strengthen transit options for Troy and Metro Detroit. 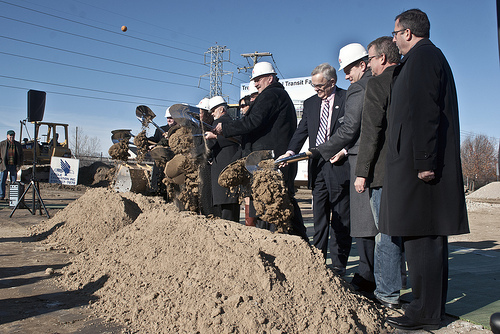 This groundbreaking comes at a time when Amtrak's 2012 ridership is at a record high and Michigan is at a crossroads about whether to continue to fix and expand roads or their transportation systems. The project had been heavily debated for nearly a decade and former Mayor Janice Daniels, who was recalled in the Nov. 7 election, led its opposition campaign. The project was killed in December 2011 with a 4-3 council vote. Daniels called the project "wasteful" and council members were concerned with who would pay the center's annual $32,000 maintenance cost. "It's absolutely important for economic development," U.S. Congressman Gary Peters said. "It's about the greater Detroit Region and making us a stronger engine for growth." In a rescheduled vote on Jan. 17, however, the city council reversed its decision and approved the project after local business leaders denounced the city saying its policies were antiquated. Troy Chamber President Michele Hodges helped align the business community's support for the project, which was a deciding factor in its approval. "This is really big," said MDOT Director Kirk Steudle. "People just want more choices to move around." "More and more communities like Troy are demanding and accepting improved transit and station enhancements are a response to customer needs," Steudle said. 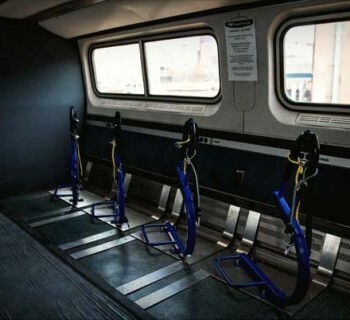 "We consider the multi-modal transit facility to be an integral part of Michigan's Accelerated Rail Program … Imagine this station full of people who walked here from neighborhoods or that rode their bikes here and got on a train that are now going, as [U.S.] Congressman [Gary] Peters said, 'anywhere in the country.'" The border between Troy/Birmingham is marked by a rail corridor used by Amtrak. The center will be a link in the state's high-speed rail program, which is projected to move people from downtown Detroit to Chicago in four hours. 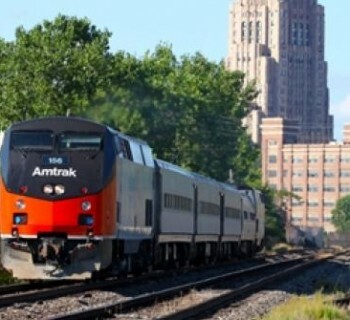 The state recently received a $200 million grant to improve commuter rail service between Dearborn and Kalamazoo and to help increase train speeds to 110mph in some sections, which officials say should be ready by 2014. Steudle said he's interested in the transit center not only because it's a great link station for the state's high-speed rail, but because it's where the economic development happens. Peters, who also spoke at the groundbreaking, said the station represents a broader, regional transformation and that the Metro area needs to do what every other major region in the country has done, which is regionalize and coordinate public transportation efforts in southeast Michigan. "It's absolutely important for economic development," Peters said. "It's about the greater Detroit Region and making us a stronger engine for growth." "This transit center does not move just people and things forward but it also moves our community from one place to the next as we assume our position in a system of regional transit assets and in the global network," Hodges said. "We still have to find a business model that will support the operating expenses of this center, which hopefully will one day be transferable to other like projects," she said. "We have to make sure we have a regional transportation authority to bolster this center, as well as others." Michigan legislators are voting on that very regional authority today. As of 2:30pm, four bills, which establish the Regional Transportation Authority, have passed the Senate.